Restore of the Heartland knows that your home is the single-greatest investment you will make in your life. When catastrophe hits and there is damage to your home, be it from smoke, fire, water, wind or mold, Restore of the Heartland will be there to help you out. We have the trained professionals and the correct products to put your house - and your mind - back at ease. We specialize in disaster restoration, recovery and reconstruction, providing 24/7 emergency service throughout Northeast Kansas. Joe McGraw,the owner of Restore of the Heartland, has nearly three decades worth of experience in the home improvement and restoration industry. 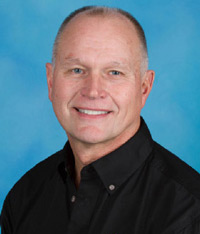 Originally starting the business with his wife Darlene, as a cleaning service in 1984, Joe got a degree at Kansas State University in veterinary medicine. The company quickly grew into a dehumidifying specialist company on a national scale such as during Hurricane Andrew, the Chicago River Flood, and many others. It was during this time, that Joe also began the reconstructive part of the company as a licensed builder. He got involved in making homes healthier as a Certified Indoor Environmental Consultant, which is one of the most prestigious designations made by the Indoor Air Quality Association. Restore of the Heartland holds an A+ rating with the Better Business Bureau (BBB) and we are certified members of Disaster Kleenup International (DKI), Certified Indoor Environmental Consultant, Flint Hills Area Builders Association, Association of the United States Army (AUSA), the local Chamber of Commerce, Operation Santa Claus, the Knights of Columbus, Seven Dolors Church of Manhattan, KS and the National Association of Home Builders (NAHB). Restore of the Heartland serves the Greater Manhattan, Kansas area including Topeka, Manhattan, Salina, Emporia, Mcpherson, Fort Riley, Abilene, Junction City and all other surrounding communities.